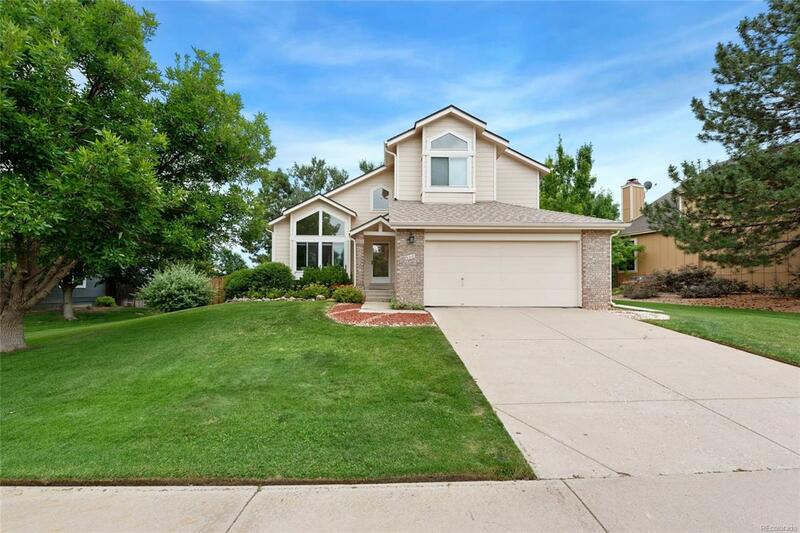 Pride of ownership is evident in this charming 2-story Highlands Ranch property. This home lives large with a vaulted living room and grand stairway entrance, a formal dining area and eat-in kitchen and a family room immediately adjacent to the kitchen for easy entertaining. With 3 bedrooms and 3 baths, this property can accommodate a growing family or those buyers looking to make their first home purchase. The open kitchen offers plenty of countertop space and storage...and ALL of the stainless appliances are only 1-year old! The wide open basement will offer the new buyer the opportunity to complete a finish specific to their tastes and needs. Enjoy quiet evenings on the back deck, overlooking an immaculately-kept yard. Or, expand onto the paver patio for entertaining family and friends under the Sunsetter automatic awning. The home boasts a brand-new hot water heater, newer roof, air-conditioning and paint. And, new window coverings throughout! Schedule your private showing today!